The death of Queen Victoria truly was the end of an era and when the end finally came on 22 January 1901, she was surrounded by her family. Curtain down at Her Majesty’s includes quotes, letters and diary entries from those who were there. Also included are the bulletins that at some point were issued every few hours and newspaper articles. 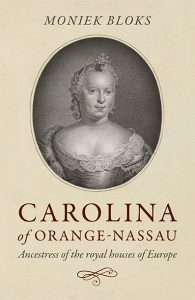 I was most touched by the personal writings of her family, who had come to regard as the matriarch. Even her grandson, Kaiser Wilhelm II, came to say goodbye and insisted that he came as a grandson and not as an Emperor. I also loved the design of the book, which was perfect in gloomy black. 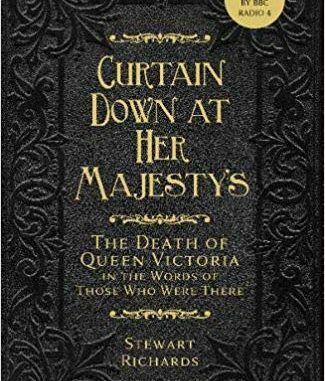 Overall, this is an excellent and personal look at Queen Victoria’s last days and finally her death and funeral, through the eyes of the people who witnessed it. Curtain Down at Her Majesty’s by Stewart Richards is available now in both the UK and the US.